Officially you could say that I am eight-dogs-old. I have been blessed with the beauty of owning eight beautiful dogs in my lifetime, and each of them have enriched my life with an endearing level of love and dedication, and an unrivaled shameless spirit. Day in and day out, these animals answer the call without a thought, demanding little, while offering everything. They also serve has milestones in your life–a period of time marked by circumstances unique to the days and nights when a particular animal shares your life and sleeps at the foot of your bed. Uniquely their time, but forever part of your life. Bailey was the fourth Golden Retriever to take up residence with me, and provided a substantial amount of support and love in my life given the circumstances she endured along the path we set together. She was fond of the car, and would never be denied the opportunity to take residence in the back of my Jeep Commander. Quite simply, if I was going somewhere…she was going with me. 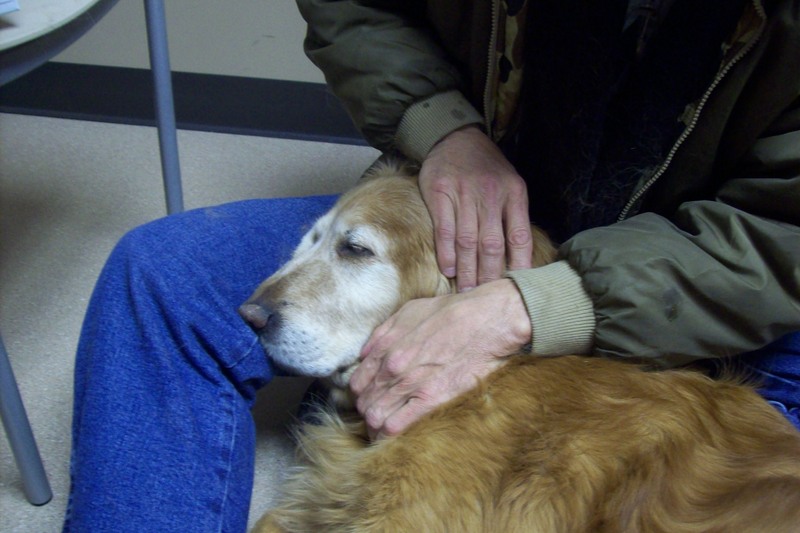 Bailey was the Matriarch, the oldest and wisest of two Goldens. Her understudy–Maggie Mae–was her partner, her shadow…her constant companion. And now that Bailey has left us, Maggie Mae now takes on a new role, and awaits Dog Number Nine, who will arrive in the not-too-distant future. She now takes up the reins where Bailey left off, and having a superior mentor, she will not disappoint. I have not been able to see Maggie Mae since Bailey died, and I know that she is bewildered by her absence…confused and unsure of what has occurred, and asking “where is she?”. I will see her soon and try….to explain.